Interesting. I leave money in my small-biz corp for flexibility, not necessarily to save on income tax. I figure that I can choose to pay dividends to my retired (future) self, rather than pay myself today, put it into my RRSP (I already max our TFSA's), and then eventually have to convert the RSP to a RIF with the minimum withdrawal requirement. withdrawals for RIF are well above that. So while there may not be a tax benefit to doing this (I am assuming AB or any other province is essentially the same), I see a significant retirement planning benefit. Or am I wrong on that front? The original money you leave in the corp. assuming it is active income is only being taxed at around 13% I think in AB,so it makes sense to leave what you can in your corporation as you are doing. By leaving money in your corp. you have deferred around 30% of the tax you would have paid if you took all your income as wages. What my blog today is saying is that the 30% you deferred and any prior amounts you have deferred will now be taxed at a high corporate rate 45%, (I think In AB)when you invest those funds in GIC's or stocks or whatever. You are correct is saying you may also have a retirement planning benefit, but that depends on your income tax rate at withdrawl. I understand the 45% highest tax paid on investment income but what about investments that have flow-through status (Corp Class Mutuals) so investment income/foreign income/dividends are all paid out as capital gains. So an open or un-registered account opened by a corporation or holding company benefits huge if it holds corporate class mutual funds which then allows tax-deferred growth, no taxable dispositions by switching investments to other corp.class funds, and once redeemed or withdrawn they only create capital gains which are taxed at a low rate. Don't forget the ROC option, or return of capital so you can draw down the account relatively tax-free for a number of years until the ACB becomes zero. I think Corp. Class funds are a no brainer for business owners keeping cash or retained earnings in the business or holding companies. Corp Class funds may have higher costs and less investment options; but a capital gain is always better than income or dividend. This is an investment decision which I dont comment on, so all I would say is it is a consideration, I would not call it a no brainer. i started a coproration so that i can trade stocks day to day with money i took out of my house. I lend the corporation my money in exchange for a 10% paying debt instrument. I leave all gains and losses in the corp and each year i will pay myself a dividend. does this make sense to do that? This is a complicated question. First of all you would likely be deemed a trader and the stock gains and losses would likely be income not capital gains. You should speak to an accountant to review your exact circumstances and facts. Finally, I am not sure the corp is really that advantageous, but again meet with an accountant to review your specific situation. Thx MOA. I like the originality of your Twas the night before Xmas blog. All the best this holiday season. To clarify, your point is that putting money into a corporation to produce investment income results in almost no tax advantage, correct? But on the other hand, due to the deferral of taxes, there's still a potentially big tax advantage to retaining earnings in a corporation and investing them over many years vs. paying out the earnings as a dividend right away and investing the proceeds personally, right? Jason, pretty much yes. If you have an active business and made $100, you would have in theory $85 to invest if you did not still need the money in the business. If you paid the money out right away you would personally have $54 or so after tax at the high rate. Thus, you have $85 to invest rather than $54. However, the tax rate would then be around 46% at the high rate on any investment income earned by the $85 and the same for any investment income earned by the $54. Thus, clearly by deferring the tax you have more money[$31(85-54)] to invest by keeping the money in the retained earnings. Again, to clarify, if the federal tax rate on earned income is 15% and the provincial tax rate (in AB) is 10%, then technically, wouldn't you have 75% left available to invest. In other words, for every $100 of revenue, you would only have $75 available to invest, not $85? Anon, the Federal rate is not 15% but around 35% on investment income and around 46% when you account for provincial tax. See the example for interest income above (20%+26.67%=46.67% corporate rate). However, if your corporation pays a dividend, 26% or so is refunded back to the corporation bringing the total corp tax rate to 20%. However, you would then have to pay personal tax on the dividend. My small business makes about 125k per yr. I now have 400 k in my biz. This yr, I began active day trading. I will net a 200k return making more than my primary biz. Is this still considered passive income?? This is a great thread-- better than the professional (paid for ) advice I have obtained from several accountants .So my question is--if the stated goal of your corporation (Ont ) is an investment corp. and you work hard at maximizing the returns--like every day-can the resulting income dividends etc be deemed active income ? Howat, you would never want such a situation, since that would infer your capital gains would be taxed as regular income, a result you do not want. As far as earning investment income within my corp I and my accountant never really questioned this strategy. At 64 I am now draining my RRSP & RIF as quickly as possible then I'll work on the 2.5+ million sitting in the company earning an average 4% (GIC, mortgages on my kids homes plus other methods and NO STOCK MARKET!!!) Life is enough of a gamble. Anon, good for you, well done. But I would bet the monies were after-tax profits of your original operating company that were deferred and not paid out of your corporation, not funds you put into a investment co, since that typically makes no income tax sense. Yes. Money comes into company. Company pays corp taxes. Retained earnings are invested and grow at approx 4% (about $85,000 / year). Help your kids by holding their mortgages at 3% (they'll inherit what's left someday anyway) but it's a good lesson in saving. Drain my RRSP because I don't have the same kind of control as available in company. In a year or two RRSP is gone but I've had CPP for 4yrs, OAS starts next year and I can pay myself and wife about $60K each without triggering OAS claw back. Is there a better way? I don't know or really care. I'm sitting here is South Carolina for 7 weeks, relaxing, golfing (no not with my wife ... she shops) and earning about 1/4 million $ a year doing anything I like. As my wife and I often say "it's all luck in the end". Anon, all I can say is your my idol :) And no truer words, luck in finances (although hard work and skill count for something, but not always) and luck in health. BBC - You need 4 things in life. Not necessarily in this order but it's important to me. 1-Health, 2-Time to enjoy whatever things you love, 3-Someone to enjoy it with, 4-Money ... and it does not have to be a lot. Remember the line in a song "it's not having what you want but wanting what you've got!" In the table you show $26.41 of tax being paid on the dividend originating from the $100 of interest income in the corporation. I assume that this $80 dividend would be considered an non-eligible dividend, is that correct? In that case, wouldn't the personal tax be $80 * 32.57% = $26.06, not $26.41? Not that this makes much of a material difference, but I just wanted to make sure that my understanding is correct that this would be a non-eligible dividend. Jason, the above was a theoretical model of integration that is why your numbers are off,otherwise you would be correct. Hi Mark, Great site by the way. When does the concept of capital dividend account come into play? If a capital gain was taxed in a corporation, couldn't the CDA balance be paid out to the shareholder tax free? How does RDTOH and CDA work together? I've been researching all afternoon & finally came across this site and the awesome UNDERSTANDABLE language and explanations!! Our situation is this: We farm. Our Corp. purchased 50 acres with a house on it in 1981. We rented the house & depreciated it each year. This year we severed the house from the farm & sold it. Our accountant says the house depreciated down to nothing. We sold the house for $125,000. and are now subject to a capital gains tax for that entire amount at 46% because our Corp. is an investment corp. This year we purchased another 138 acres through the Corp. We used the money from the sale of the house to reinvest in the new farm we purchased. Since we are deemed an "investment corporation", why do we have to pay capital gains tax at all if we reinvested the money into a new investment (additional farm property). We were told about the dividend option and recouping a part of the capital gains tax but are also in a position where we are both paying personal tax and do not want to incur additional income to create an even worse situation!! Any help/suggestions you have would be GREATLY appreciated. Yes. Thanks for the response. Totally understandable. In the meantime, if anyone else could offer any suggestions it would be greatly appreciated as the end of the month is looming! Thanks in advance. My husband lived in the house for a short period of time. Because of that, would he be able to deem it as a personal residence? Yes, I will have to do a blog on the repercussions of the change to non eligible dividends on salary/div mix and invest co's. However, the key concept of deferral remains, even if there are some changes to the absolute savings. Could a Corporation in Ontario lend money (retained earnings) via a mortgage to it's owner or employee? If a corporation has enough in retained earnings to fund the entire purchase price of the home, the owner would just have to withdraw new income from the corporation to cover the mortgage costs and other living needs and would only be taxed on that compared to the owner taking out the entire amount to fund the mortgage himself, which wouldn't make sense, considering the tax consequence. If the corporation funded the mortgage, it would be doing so with after tax dollars and then if it charged a mortgage interest of even 3%, the additional tax on the interest for a mortgage amount of even $500000, even at 46% (being an investment) would be minimal to the corporation. Not sure if this is allowed but the idea seems good. If an owner of a corp wants to apply for a mortgage for the home, generally a certain level of income may have to be shown to qualify for the mortgage and if he has to show that income, he would be taxed on that income. This way, even if he takes minimum income, he wouldn't have to worry about bank qualifying criteria. This whole scenario if possible, would be more advantageous to the small business corporation where the owner and his spouse are employees of the corp so that further tax savings can be achieved by taking out equal income just enough to pay for the mortgage and living expenses. Bump - Any insight on the question above? Question: Passive corporate income is considered at a higher taxation rate I have been told. I have also been advised that paying out the passive corp. income as wages would not be looked upon favourably by CRA. Wouldn't paying out the passive corp. income as wages result in the same taxation rate as if the investment were in the individual's hands and if so why would CRA have a problem with this? Looking at the example, case B, column Interest: I see the person pays $26.41 of taxes on the $80 dividend received. Now let's say this $26.41 tax is wiped by the Dividend Tax Credit and the person receives the full $80. In this case, all things equal, the taxman looses because he pays the $26.67 refund to the corporation but never receives the $26.41 from the person. Is that true? If not, what mechanism makes sure the taxman does not loose. Hello, I read everything and thanks for this nice blog. But can you tell us what to do with the money left in the corporation? Hi, great thread! I thought I was saving money keeping the investments inside my CPCC. Thanks for straightening me out. Stocks are a lot easier to manage with Quicken than Quicktax. I'll be moving these out of the company ASAP. So, here is a question. I have set up the CPCC with 3 classes of shares (me, wife, son) par value $100. I also made an investment in a startup company outside the CPCC which I expect will go public in 1-2 years. As the startup is not Canadian, these private shares may not be held in a TSFA AFAIK. Can these share be transferred into the CPCC and share of the CPCC held in the three TSFAs? Is there a tax advantage? In most cases, you are pretty much indifferent earning investment income inside and outside your company. However, keep in mind you are deferring tax on that money--ie: you have only paid the 15.5% small business rate and when you remove your money you will pay dividend tax on that money, so you are not saving absolute tax, but you are deferring tax. Before you move money, I would discuss with your accountant based on your specific circumstances. In response to your second question, I dont provide specific tax advice on this blog and it is somewhat complicated, so again speak to your accountant. I am interested in purchasing a mixed-use property. Commercial with two residential apartments. It is one title but I'd like to co-own personally with my holding company. I'd like to assign the residential portion to my personal share and the corporate to my holding company which would rent to my corporation doing active business from 100% of the commercial portion. I hope that I can deem the commercial rent as active business income this way while claiming the passive rental income or loss on my personal return. Have you seen this done before and is it acceptable to CRA if it is set out in a co-ownership agreement? Thanks! I have not done this. I get what you are trying to do, it is a bit complicated and cant tell you the answer off the top of my head. You should speak to your accountant or get one to assist to make sure you dont end up with tax issues. Hi David, my corporation is worth 1,500,000. half of which is cash. I have been investing the cash into gic,s. Can I purchase stock and bonds without losing the small business status? Who is David? I cant answer your question without knowing far more background, but you definitely could have issues based on your cash level, speak to your accountant. What I get from your post is that generally speaking the total tax should be the same if the money is earned inside or outside a corp. Does this still apply in a succession scenario ? Wow, I wish I had more time to read more today. We bought a small business 12 years ago, and have gradually made some money. We have about 1 million (some CDN, some US funds) sitting in a holding company doing nothing. We would like to retire in 4 years. The bank is suggesting Corp Class Funds, we went to a reputable financial investor, recommended by our accountant, and he suggested invested in single stocks with long success histories. What would your advice be? We are newbies to investing. I prefer not to 2nd guess your accountant, he/she is aware of the specific facts. All I would say is that when you trade options, it may not be 100% clear as to whether it is capital gains or business trading gains. I have a Corporation where i am the single shareholder. I am contemplating to start making investments in securities and ETF's with the retained earnings inside the corporation. I recognize thru what you have been writing that thru the concept of 'integration', that there is really little to no benefit from a taxation perspective to invest $ inside the corp, vs. as an individual(integration). And what you are saying is - Where there is potential benefit is tax deferral, in that i can invest pre-personal tax $ inside the corporation. (thus investing more, and thus increasing the size of the pie to invest, and thus potentially the size of return....I think I understand that, with your help. thank you. Now my question.....When I sell a security inside the corporation, is that a 'taxable' event, and will i then have to pay tax at that point. (my guess is yes) It would be very awesome if it was not a taxable event and i could then reinvest any gains without losing anything to tax., and only have to pay tax upon the removal of the funds from the 'shelter' of the corp...much like an RRSP). Can you let me know. I have been trying to google the answer, but can't seem to find it. follow up question on the last posted question. If the company that I am doing the security trading is a holding company (i.e. not an operating company) what is the tax rate I will be taxed at when I sell a security? 16% or at the personal tax bracket? $25,000 earned in corporation that is a specified investment business (or taxed at highest rate). Tax owing: ~$6500. When a divided is paid out personally for $25,000, there is no personal tax. When I claimed the $25,000 as other ordinary income or even employment income, the total tax came to $2300-$2500. In other words, assuming you live off your capital and have a low income, the corporation costs you an extra $4000 per year in taxes. Am I missing something? What about capital gains? Are they taxed in the same way? i.e take half of gain and tax that at top marginal rate? Thanks for this really useful site! Much appreciated! question : eligible dividends paid by an CCPC earning only rental and investment income with no active income. Can this CCPC pay eligible dividends without attracting the Part III tax.? Question:how can money from a professional corp (not allowed to have holding companies as shareholders) be reinvested into real estate (land, commercial) outside of the PC in order to maintain the capital gain exemption? And, does a hold company that owns the building where the PC is operating have a different tax rate, ie. small business tax rate? Does this change if other investments beyond the scope of the PC business are also in the holding company? The cap gains exemption can be problematic with a PC growing investment assets. There are deeming rules for income between two associated corps. Speak to your accountant, you have good questions, but not questions that are simply answered. How have you seen retained income being taken out of the PC to reinvest without being taxed at the highest rate? Again, speak to your accountant. It may be possible depending upon your province and your professional body to loan funds from your PC to another entity as at least one alternative. A corporation that owns a residential apartment block and makes its income solely from rental of units. Is this passive income or can it be classified as active business income because this is its primary business? This would typically be passive income. A principal business for a real estate corporation would typically only affect the claiming of CCA. If I make $900,000 in a year on day trading stocks, then if I became a corporation, I would pay approximately 20% tax on small business (so, $180,000 owed on $900,000 earned) - and if I then gave myself a dividend of $100,000 for the year, then I would pay out to the government on that dividend an equal amount in tax of what the government gives back to me as a refund to the business (for the dividend)- then, additionally, I'd be paying 26% personally (so, $26,000 in taxes) as tax paid on a received dividend- is that all correct? If this is all correct, then roughly speaking, I'd be paying $180,000 in business tax plus $26,000 tax for the received dividend- for a grand total of $206,000! Then, in leaving the remainder within the corporation, I can use that money to generate another $900,000 from day trading stocks in the following year- and take out $100,000 again as a dividend payment to myself (and doing this scenario yearly). So, if my logic is correct, then I'd be paying tax of only $206,000 on $900,000 earned as business income from trading - within a corporation- (and leaving the remainder of the after tax business income of $594,000 in the business account- calculated as: $206,000 paid in taxes plus $100,000 dividend paid to self- so, $900,000 - $306,000 = $594,000) rather than paying 46% of $900,000 in taxes to the government (which is $414,000- thereby being left with an after tax amount for myself of $486,000) if i reported the $900,000 as "income" from trading. That's a difference of over $100,000! So wouldn't it then be more beneficial (monetarily) to pay taxes on stock trading by creating a corporation and then take a dividend payment each year to myself as my income rather than paying taxes on the trading gains as just "income"? I wouldn't qualify as being able to declare this trading income as "capital gains" due to having knowledge of the market, using margin for trading, and making multiple trades in a day each week. Looking forward to hearing from you Mark! Thank you so much for your help in clarifying this topic! 1. Day trading is a complex area. In your case it may be business, income however, you should discuss with your accountant. 2. The small biz deduction of 15.5% is only on the first $500k, after that the tax rate increases to 26.5% assuming your day trading is a business. If I earn interest income in a corp, and I have me and my mother as shareholders of different classes of shares, and then I pay my mom a dividend (she's in a low tax bracket), and get the dividend refund and have her deposit back the funds in the corp, can I then have her assign her loan to me and I draw the funds out of the corp? thereby avoiding a higher rate of tax in my hands? I do not provide personal tax planning on this blog. Speak to your accountant, you may be able to do something with your situation along the lines of your comment depending upon certain factors. If i was to invest corp dollars into a corp class mutual fund that lets say gets a 6 percent return what would my annual return have to be on a etf or stock to be more efficient as a retirement tool considering I live and own my corp in saskatchewan? Or what variables are needed to calculate this? I dont understand the question. What is the diff in return from a corp class vs ETF vs stock. They are all the same return, the only diff is corp class may allow u to defer the cap gain. If that is the ?, I have no idea how to calc. I am having a hard time wording my question !! , so maybe a description of my scenario would help lol? My corp has been in business for a year now , I invested 25k of corp $$ into a corp class mutual fund, I have recently come to the understanding that I pay 2.45 m.e.r for the funds i am invested in. I am interested in moving my investments into a ETF to reduce the amount I am paying in fees, but from what i am understanding is that if I buy ETF's instead of corp class i will have to pay annual tax on my gains. Because the return on the ETF will be higher then the corp class fund I am trying to figure out if it makes sense to pay the annual tax or if i would be better off paying the fees for the mutual fund and continue to defer the tax..... If i explained that correctly lol! I have heard the term Investment Corporation. If I want to invest through my Corporation (which currently is used for active income), do I have to set up something different (an Investment Co) if I want to buy shares through the corporation? You do not need to set up a separate corporation. However, it is often recommended for asset protection purposes (ie: if you are sued, these investments are not at risk if in a separate corporation). You should speak to your accountant about what is best for you. Since the tax mechanism equalizes the tax paid within and outside of the corporation, my understanding is that to gain advantage by investing inside a corporation, one needs to invest in an asset that will appreciate over time without triggering corporate income tax. If my corporation earned $1,000,000 and paid $150,000 in corporate income tax, it now has $850,000 to invest. The corporation can now buy an investment property (e.g. an apartment) and hold it for several years until it can be sold in profit. Tax will be triggered only when the apartment is sold. Since more funds are available within the corporation compared to after-tax personal tax, I will be able to dramatically reduce the need for a personal mortgage for buying the same apartment on the personal side. As a second apartment, it will anyway not qualify to be sold tax free even if held personally. This way I can take advantage of low corporate income tax of my active business and defer taxes for many years. If income is earned in an active company initially, there is a significant deferral of tax. Thus, the Opco, Holdco or investment co would have more money to invest. That deferral is however, lost once you invest in real estate or stocks etc. But, if as in your example there is no income until sale, you would be correct. I retired two years ago, and continue to earn investment income on the $600,000 of retained earnings still left in my small business corporation. As my personal tax rates are a lot lower than the maximum marginal rates that my corporation now has to pay on its investment earnings, I am looking at speeding up my rate of dividends withdrawal from the corporation, especially now that the max federal is being increased from 29% to 33%. I also saw how the effective tax rates on ineligible dividends is being gradually increased over the next few years, so another incentive to speed up dividend withdrawals. But I'm thinking of another option. The business that I retired from had no resale value, so I couldn't sell the shares and claim the lifetime capital gains deduction for small business shares. However, I am considering using these retained earnings to buy another small business, one that would have an ongoing value with or without me, and then in two years, after the exemption eligibility period, sell the shares of the company, and claim the lifetime exemption. What are your thoughts on such a strategy? I don't provide personal tax planning advice on this blog. You should speak to your accountant. However, that being said, your corp probably does not even qualify for the Cap Gains Exemption as all the assets appear to be passive investment assets. You should read my blog on The Capital Gains Exemption, is not a Gimme. Look on the right hand side of the blog. Thanks, Mark. Can you recommend a good tax specialist in the Ottawa area? I'm a retired CA, but worked as a management consultant, so only have a rudimentary understanding of taxation. Send me an email to bluntbeancounter@gmail.com and I will see if I can find you someone. My wife and I are shareholders of an inactive PC in Alberta used as an investment holding corp. We each have common voting shares, but each are in a different class. We currently have 4.5 million in cash in the company and are in our 70's. We earn some capital gains, dividends, interest, etc. on our funds each year and pay taxes on the same. We just had our corp. year/end on Dec.29, 2015. Our accountant has recommended that we proceed to dividend all of the 4.5 million to ourselves at the 2015 alberta non-elgible dividend rate of 30.84% tax rather than wait until 2016 or later when the rate will be 40.24% or higher. We have mixed feelings about paying all of this tax now and losing a substantial portion of our retained earnings to taxation. However, with increasing tax rates looking to be the norm and with the Stock markets tanking, interest rates maybe going negative, etc., etc., it looks like it may be a good idea. Can you give us any recommendations or any other perspective on this matter? I do not provide personal or corp tax planning advice on the blog nor do I comment on other accountants. What I will say is that if you do not need all the money in your corp and want to leave some to your estate; have you ever considered a last to die life insurance policy held in your corp? 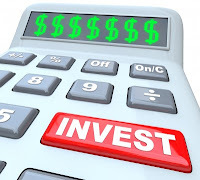 If not, you may want to discuss with your accountant, as in many cases (as an upcoming blog will discuss) by using the Capital dividend in the corp, you can often increase significantly the amount to your estate. Can RRSP contributions be used against interest, dividend, OAS, CPP, & Capital gains incomes? Or only against certain ones? If a private corp. makes a cash charitable donation of $100,000.00. Does the Charitable donation tax receipt then come back into the corporation and create a $100,000.00 credit in the Capital Dividend account which then be withdrawn as a tax-free dividend out of the Capital Dividend account of the corp.? The donation receipt is issued to the corp, but it has nothing to do with the CDA account. Please consider a hypothetical example of an early retired couple in their late 40's having over $2,000,000 saved in an Alberta professional corporation of which both are share holders. The money is invested in high yielding Canadian stocks and the corporation expects to receive an eligible Canadian dividend of $102,000 from the investments in 2016. Provided the eligible dividend is flowed out to them personally from the corporation ($51,000 each) and they have no other source of personal or corporate income, do they owe no corporate or personal tax according to this calculator: http://www.taxtips.ca/calculators/invest/investment-income-tax-calculator.htm ? I do not provide personal tax planning advice on this blog. Tax tips is a reputable site and the numbers do not seem to be out of whack for Alberta. Speak to your accountant to confirm, if you dont have one, you should get one if you have $2mill in assets. Thank you for your blogs, your tips seem most easy to read, compared to the many that are out there. My situation is that I am a senior and have a rental property within my corporation, this rental property earns me approx. 6,000/yr, this is my only corporate income and when taxed at a passive tax rate costs me approx. 2,700 in corp tax dollars. On my personal side, I make approx. 7000 less than my personal tax credits, therefore I have room personally to make approx. another 7000 before paying any taxes. You mention that CRA is very restrictive with regards to salary in an investment corp, in your opinion, would 6,000 salary to a primary shareholder be reasonable? I do not provide personal tax planning advice on this blog. However, in general,it has been my experience the CRA has typically not concerned itself where a salary is in the $6k range for a passive company. thanks so much for sharing your wisdom and insights with us all. Further to the above, in addition to a small salary expense (6k or less as noted above) there would be other expenses that an investment corporation can claim that aren't available to an individual such as accounting fees, in-home office expense, office supplies and equipment etc.. By claiming these costs (including the 6k in salary mentioned above)the net effect would be an approx 10k reduction in taxable income. does this make sense? A lot of water is under the bridge since this post was written, and taxes have changed. I recently created a spread sheet to compare the choice to (a) keep operating profits inside the corp, and invest there, versus (b) distributing the operating profits as earned and investing within a personal tax shelter. I found that for all personal tax brackets, and all withdrawal rules, it is better to invest in the personal tax shelter. The benefit from operating profits being only half-taxed before being invested, was over weighed given time by the higher tax on investment profits, and the eventual tax on withdrawal. Playing with the individual line's calculations I found that assuming an effective 50% personal tax on profits NOT in a tax shelter, tips the balance towards saving in a corp. But with only 25% tax the options are equal. Yes but if you have a substantial amount inside a corporation now, how the heck do you get it out and invest it personally (without incurring a huge tax bill)? That is problematic in many cases and you should discuss this with your accountant or financial planner to see if you can at least utilize the various marginal rates of tax. Reason No. 1 - though "Integration" causes total tax to be the same when one draws the money (as dividends) from the corporation at a time when the person's marginal tax rate is at it's highest bracket, my understanding is that it can result in savings if the person draws the funds when their tax bracket is lower. For example: a person earns $100 in interest in 2016, and pays tax at the highest tax bracket. vs Corporation earns $100 in 2016, then pays out dividend to person in 2018, when they are at a lower tax bracket. "Dividend refund" remains the same, but the "Personal tax to shareholder on dividend" is lower. such income is eligiable for working tax credits, and causes contributions to Parental Leave Insurance. CORRECTIONS ? COMMENTS ? THOUGHTS ? Each circumstance is fact specific and may or may not work. For example #2, you are ignoring the cost of the employers share of CPP by paying salary possible EHT etc. Wow! You are very prompt on your blog comments. Thank you Mark. But reason no 1 - I think might really be directly relevant to the topic of this blog entry, of weather there can be significant tax savings in putting one's personal investment money into a corporation to be invested through the corporation. Reason no 1 is a generic scenario I have been curious about for a while, and have not seen it addressed anywhere so far in discussions around "integration" ... I believe my reasoning on it is solid, but would be happy to hear any comments or thoughts on it, whether in agreement or not. Thank you again for such an excellent blog! Typically one would not want to put their personal investments into a corporation as these are tax paid dollars already; other than to avoid US estate tax. I just came across this wonderful blog, thank you for taking the time to answer people's questions!! I am wondering if it makes sense to start an investment corporation for myself to do my investing. This would be my full-time job as I would essentially be a mini-hedge fund, managing my own money day to day. I met with an accountant recently who advised that if I did setup an investment corp for my personal money that I would be eligible for $72,000 / year of tax-free dividend payments (between my wife and I). Is this true? My plan is to make this my sole source of income and employment, managing my 'fund' which will either be inside an investment corporation I setup, or simply under my own name. Thank you in advance Mark, I am finding it very difficult to find accurate information and answers to my questions!! If you and your wife have no other income and your pay $36k in dividends to each of you, the dividends may indeed be tax free. But the key is no other income. But the dividends are the distribution of corporate profits. You need to discuss with your accountant the 2nd half of the equation, how is the income taxed in your corporation. You may have a business instead of any investment corp. Either way, you will owe corp tax before you pay the dividends. Hypothetically speaking: Would I be better off incorporating now assuming large capital gains in my existing personal brokerage account over the next 12 months; or would I be better off waiting until those gains theoretically happen before incorporating? I am trying to get a true sense on what an investment Corporation would be paying in terms of capital gains and whether or not I should wait to incorporate (or if I should even incorporate at all?). Let's assume $2Million of capital gains for this scenario. (I understand what you are saying with regards to having an opco, which could be a research company, and a holdco within it. I am undecided/uneducated on whether or not this would be beneficial). Alberta administers its own Corporate Tax System. It appears there is no equivalent to the Federal Tax credit for investment income for Alberta corporate tax on Investment income which is 12 percent. So there is no tax integration for Investment Income and at the margin you are taxed around 60 percent at the top income level. Is that correct? I don't work in Alberta, so I am not familiar with AB tax rates. However, I have seen integration charts which reflect AB investment corps pay around 52% tax and not 60%. You should be able to find such if you do a google search. I just established a professional corporation (I am a doctor in Alberta) last year (2015 tax year) and had taken out just enough as a dividend to pay myself a minimum in income taxes. This past year (2016 tax year), my wife (who is a salaried employee - not in the medical field) and I relied solely on her income for our day to day expenses. We actually didn't touch any of the income within my corporation, which I plan on using the retained earnings for investment purposes in corporate mutual funds later this year. I'm kind of confused after talking to a financial expert today whom suggested that I should actually take out more than I did last year for my personal income since it would not look good according to the CRA not having taken anything out of my corporation (when comparing to last year).....but, we really don't need the money. He also suggests that it would help my case in the future if and/or when needing a loan from the bank, I as a professional who my personal income (paid via the corporation) increasing year after year. Is this truly the case? Would this be frowned upon by the CRA that I didn't take any money (income) from my corporation this past year compared to year 1 of my professional corporation? I don't necessarily agree. However, if you are not taking any income, I would take some to use up lower marginal tax rates. I know that you wrote this article a while back, but I just happened to google this article as I am digging for some research. With the new RDTOH rate and lower ineligible dividend gross up, would you say that there are more advantages now then before to have your investment income earn through a ccpc? No, an investment holdco provides minimal benefit, the benefit is only where you earned your initial business income in a corp and you only paid 15% tax so you have 85% to invest. Once that happens there is not significant benefit to an investment holdco as it is taxed pretty much the same as an individual. Does this still apply with the current proposed corporate tax changes? I cant say, the proposals are really intended to prevent the deferral of low rate active income. the investment income discussed above is already taxed at a high rate however the new rules appear to indirectly affect the above investment rules We need to wait until the CRA provides greater clarity. Dear BBC, thank you for your insightful blog. I use my PC in Ontario as an investing vehicle. I currently receive about 19k/year in dividends from Canadian public corps which I reinvest in those companies using a DRIP. (1) what is the tax rate my corp pays on those dividends? (2) What is the tax rate of those dividends if I decided to pull them out and add them to my personal income of 73k? (3) Are they considered eligible or non-eligible dividends? Thx. Ask your accountant once the new Liberal passive investment rules are presented in Feb or March, who knows what changes there will or will not be. My accountant says those dividends I receive from public corps are taxed at 28%, then they are treated as ineligible dividends when I take them out from my corp. This doesn't make sense to me as those dividends were not taxed originally with the SBD. Should they be registered in a GRIP, which would mean I can take them out of my corp as eligible dividends? Thanks. I don't comment on other accountants assertions, but ask your accountant again maybe your question was not clear, as public company dividends are subject to Part 4 tax, typically higher than 28% and are eligible dividends in almost all cases and eligible to be paid as GRIP. Thank you for your quick reply. Can you carry forward the public co dividends I received in 2017 onto next year or does the GRIP have to be done in the year you received the dividends. I would hate to have lost my opportunity to take out an eligible dividend in 2017. Thx in advance. As far as the new Morneau corp tax changes for 2018, are you still allowed to take out 50% of the capital gain tax free as a capital dividend? Also, do capital gains impact the $50,000 passive income threshold in any way? Thx in advance. It is my understanding that "active trading" is "active business income" because it is a form of "nature of trade". If I place my "active trading" into a corporation, this is not about being "investment income" (income from holding investments), but rather active income from "nature of trade". As such, it should be eligible for benefits of a CCPC (small business dedution). Why would an active trading business be classified as an investment corporation? Am I correct in my understanding? What is your opinion? This is a very complex area. There are multiple factors you would need to discuss with your accountant to determine if your trading is considered a business. So speak to your accountant. I was thinking same thing. So for traders that are in and out of market same day, it is obviously a business. That test is pretty clear from the CRA... Wether it is active business income is not obvious but i lean towards yes, and thus there are several benefits to incorporation: small biz credit, and also tax free dividend on first 50k each year as i recall. Is this not the case? As I noted above, speak to your accountant. The active business position should be a fallback position, not your goal. What a great blog i have stumbled upon. I sold my active business in 2003 and kept the money in what is now holdco to invest. i pay a dividend each year to myself and my wife to obtain the dividend refund. I now wish to purchase a cottage and need the capital from the company to buy in my own name. Would the dividend I take out for this purpose be eligble or non eligible? Glad to have you aboard, FYI, the above article is now outdated. As for eligible or non eligible, your accountant will have been tracking this for you each year, so you need to ask him/her (see schedule 55 of your tax filing). It is impossible for me to say, as it depends on the kind of income earned each year. If you invested in equities that paid dividends, you will likely have at least some eligible dividends. Also speak to them about whether you have a capital dividend account which can be paid tax free instead of the taxable dividend.